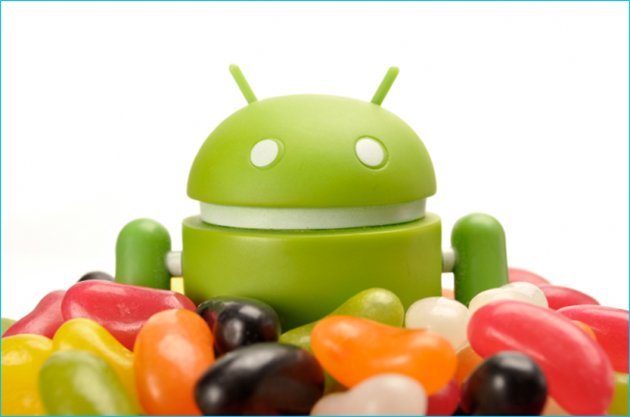 Today Google released their newest Android operating system…4.1 Jelly Bean. This is not a revolutionary change as ICS was to Gingerbread, but rather this release focuses on improving performance and user experience. They have improved the homescreen in that it now adjusts and adapts widgets and icons to fit your content. They’ve also improved the native keyboard to be more predictive and have improved voice dictation to even allow you to work offline when you don’t have a cell signal. Notifications is already an area that Android has excelled at, but now that too is being updated. 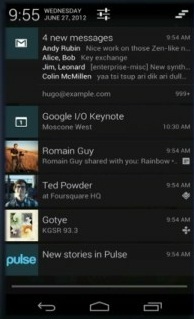 Apps can now display larger, richer notifications to users that can be expanded and collapsed with a pinch. Users can now take actions directly from the notification shade, and notifications support new types of content, including photos. Android already had voice search before Apple’s Siri but it never got the notice that Siri did (perhaps a marketing problem more than anything else). But even the voice search has been improved and the voice that replies to you sounds more natural than Siri. One of the most exciting features of Jelly Bean is Google Now. This features improves on search capabilities by combining your browsing and navigation histories together to anticipate your needs. It allows your phone to be aware of your location and anticipate information that you may need. If you are waiting at a subway station it will let you know what trains are coming next and how soon. This seems like a pretty cool feature. For more information see the video below. So when will this be available? Well, again this will depend on your device. It will be coming OTA for Galaxy Nexus, Nexus S, and Xoom tablets starting in Mid-July. Personally I’m so glad I just recently upgraded to the Galaxy Nexus and look forward to testing these new features out.